How To Stop Giving Tells - Casino Answers! One thing you always have to be concerned about when it comes to poker is giving away “tells” which indicate the strength or weakness of your hand. Not so much in online poker, poker tells are a major factor of live poker to the point that psychologist Mike Caro even wrote a book about it, entitled Caro’s Book of Poker Tells. If you’ve ever wanted to play with Mike Caro, he sometimes shows up in online tournaments at Doyle's Room. There are many articles and books discussing exactly how to spot poker tells and what they indicate – but how exactly do you stop giving poker tells? The first thing you have to do is be aware of all your actions at the poker table. It’s very easy to get caught up in the game or distracted, and lose your focus. 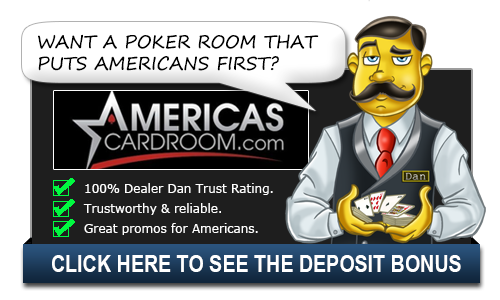 Not only will this hurt your poker playing, but it is an easy way to start giving away poker tells. The key to not giving away any tells is consistency – no matter whether you are holding a flush and value betting, or bluffing with ace high, your body language and facial expressions must remain the same. If you see a bored, tired looking player suddenly perk up when that fourth heart hits the board, wouldn’t you be suspicious of him? That’s why you need to try and remain acting the same way no matter what your hand is. It’s best to try and distance yourself from the hand and not get caught up in the action. Controlling your emotions is a key factor to poker, and part of that is because it stops you subconsciously giving away tells. Be conscious of how you have been acting at the poker table, and try and remain that way. That goes for everything – from the way you shuffle chips to how you put chips in the pot; whether you’re talkative or quiet and even the way you breathe can be indications to an opponent of what your poker hand is. While it may not seem like it – good players are watching your every move, and trying to find trends in the way you act. The one thing you really can’t control is your eyes – they are always the giveaway. That’s why so many poker players wear sunglasses at the table. Now it’s common to get mocked if you’re sitting at a low stakes table while wearing a pair of Oakleys – however if your main aim is to win money, then it doesn’t matter what other players think. Throw on the sunglasses and don’t let anyone bet you off a hand just because you blinked too many times while throwing your chips in the pot. Of course you don’t have to worry about tells when it comes to online poker. Well, you do – but those are different types of tells. Head on over to a poker room like Cake Poker where the players are bad, and you can wear a neon sign on your head stating “I have quads” and they’ll still call you. Oh, Cake Poker, how we love thee.